Welcome to Ile-Perrot Toyota, your trusted dealer for all your Toyota vehicle needs. Île-Perrot Toyota is, above all, dedicated to customer service - we look forward to sharing our passion with you! Your Ile-Perrot Toyota dealer offers you a complete collection of new Toyota vehicles, as well as an extensive selection of high-quality used vehicles at the best possible prices. Ile-Perrot Toyota has a professional team offering you unparalleled customer service when purchasing a new or used vehicle. We adapt our customer service to the needs of each driver that chooses Toyota for their new vehicle or used car. No matter your budget, Ile-Perrot Toyota will help you find a new vehicle at the best price. Our wide selection of cars, trucks, sport utility vehicles, minivans, or hybrid vehicles will allow you to find the model that meets your needs. Choose from the popular Toyota Corolla, the fuel-efficient Prius, the compact Toyota Yaris, or the spacious and refined Highlander, which is also offered in a hybrid version for improved fuel economy. Our team of sales representatives is at your disposal to guide you to the vehicle that suits you best. Do not hesitate to contact one of our advisors directly online or by phone for any queries. Take advantage of low-interest financing to purchase or lease a new Toyota vehicle or a used vehicle through our finance and credit department. We also offer you a vast inventory of used vehicles that will meet all your expectations and needs. Our used vehicles are inspected by our qualified technicians to ensure that each unit meets our stringent quality standards. 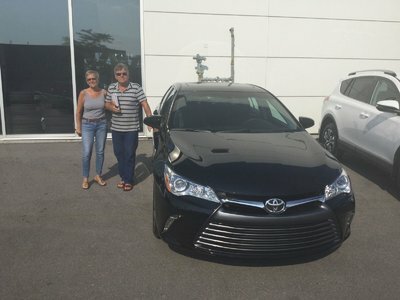 Ile-Perrot Toyota also offers a wide range of second-chance credit solutions with one of the best acceptance rates in Montreal. Treat yourself to a new or used vehicle with Ile-Perrot Toyota’s incredible prices, and enjoy a low-interest rate on financing when you purchase or lease a new vehicle. No matter your budget, Ile-Perrot Toyota is there to help you find a new vehicle at the best price. Our wide selection of cars, trucks, sport utility vehicles, minivans, and hybrid vehicles will allow you to find the perfect vehicle that suits all your needs. Our service specialists at our after-sales service department know the mechanics of your vehicle inside and out, and how to preserve and improve the performance, efficiency, and reliability of your Toyota vehicle. Do not hesitate to entrust your Toyota vehicle to Ile-Perrot Toyota! To learn more about our new and used Toyota services and vehicles as well as all of our products and services, contact us today at 1 855 398-9581, or online through our contact form!